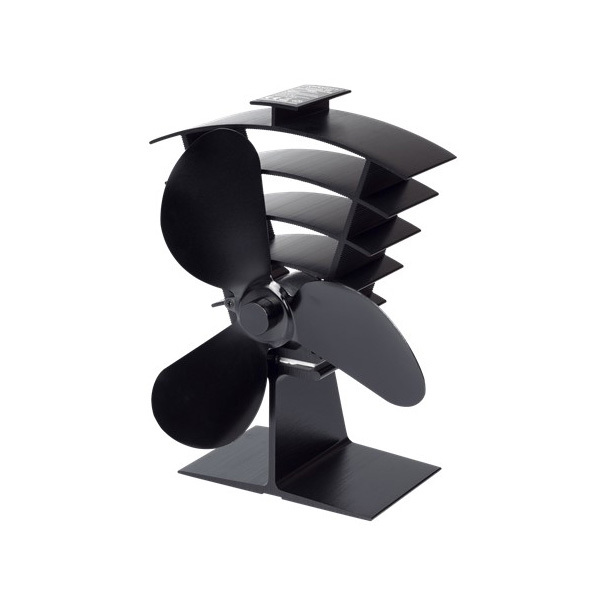 Heat is conducted though the base of the 3 blade stove fan and converted to electricity which powers the fan motor . The 3 blade has more power than a 2 blade, but less drag than a 4 blade. minimum 4″ clearance from stove pipe if possible.